Your hard-on of hate for this game is truly mind-boggling, especially two months after it's been out and forgotten by pretty much everyone else. 1. Trolling, and not really holding a grudge against the game but acting melodramatic to get funny reactions from other members. 2. Really investing time into actually hating so much in the game, in which case I'd be worried for Papenbrook because thats means shes putting an enormous amount of stress on herself. Last edited by FredWolfLeonardo; 01-08-2018 at 12:24 PM. Huh, looks like I did accidentally predict a future Sonic game when I posted that when I was starting out here. If only more love was given at the time. Even then, this bait isn't even bait no more. 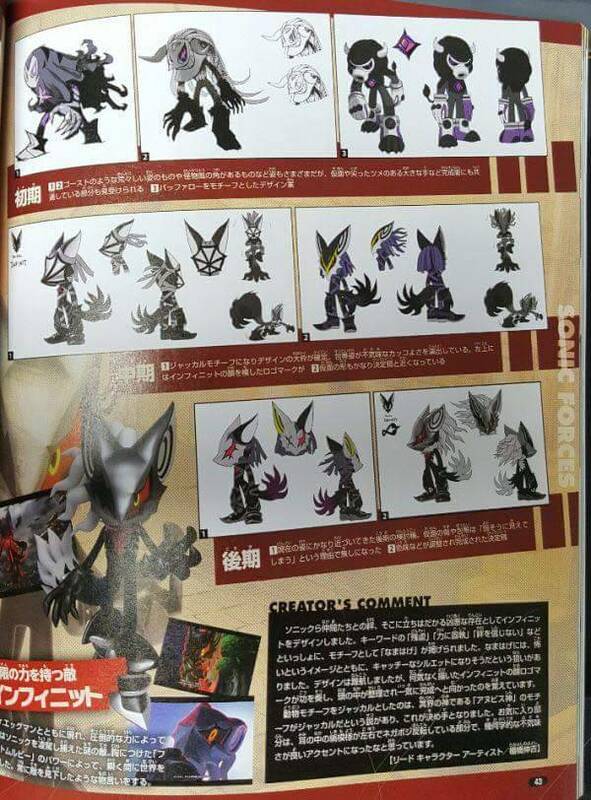 Here's some concept artwork of Infinite. Last edited by Papenbrook; 01-11-2018 at 01:17 AM. If he's currently at Square-Enix, then what happened to Prope (his video game development studio)? Is it shutting down for good, or is it continuing with a new CEO in charge? Good, but until they remove Denuvo from all their games I'm going to remain upset with them. Someone uploaded some unused level layouts/designs from Sonic Forces™. There is also some unused dialogue. Last edited by Papenbrook; 01-27-2018 at 06:34 PM. Aaron Webber dispeled that rumor. 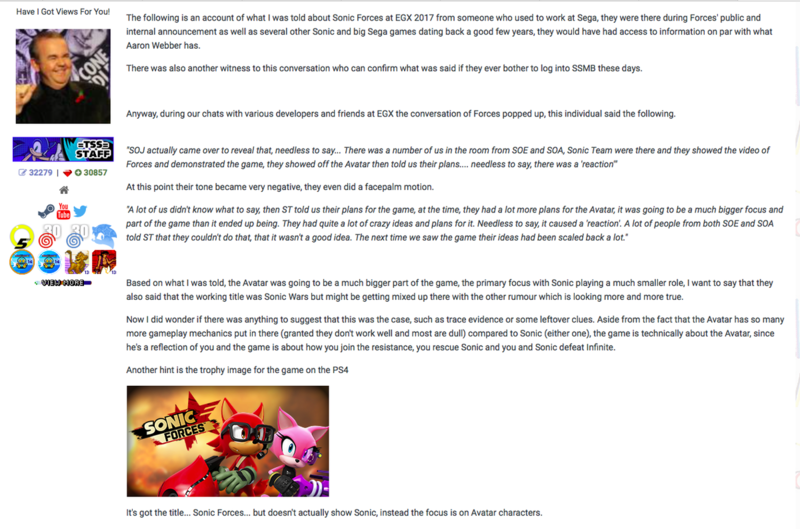 Also, I discovered new insight that hints at Sonic Forces™' troubled development/management cycle. It really didn't look good. Also, two of the three level designers have never ever worked on a Sonic game before....except for vocal tracks. Last edited by Papenbrook; 01-30-2018 at 05:59 PM. Toy Maker Zappies Claim New Sonic Racing Game In Development! These days, it seems like everybody's Super Sonic racing. Just finished Sonic Heroes and I always thought that game was extremely underrated. I have a love-hate relationship with it since I first played it. At various points, I'd be loving it, and then I'd start to realize how low it was taking me to pass a single act of a single level. Then I'd die on something and realize that I had to replay another long section and it would just sap my resolve. It's hard for me to place its playstyle, as it feels a world of difference from the Sonic Adventure games (stiffer and more linear) but still polished enough for what it is. Also, isn't it the last time we've had Knuckles playable in 3D games (even though all his familiar moves have basically been nerfed)? I love the Sonic Heroes main theme although I never played the game. "What goes up, must come down! Yet my feet don't touch the ground!" Its all kinds of awesome. I have a love-hate relationship with it since I first played it. I kinda feel the same way. On one hand, the game introduced the weird slippy feeling controls that have been in every 3D Sonic game since, the PS2, Xbox and PC ports are horrible and broken in many ways and it's story lead into one of the most questionable games in the entire series. But on the other hand the levels and music are fun, memorable, and catchy. It was the last 3D game to have the original voice cast and I personally don't think we've had a better English dub since. Also it's plot lead into Sonic Battle which I thought was a cool RPG/fighting game hybrid. 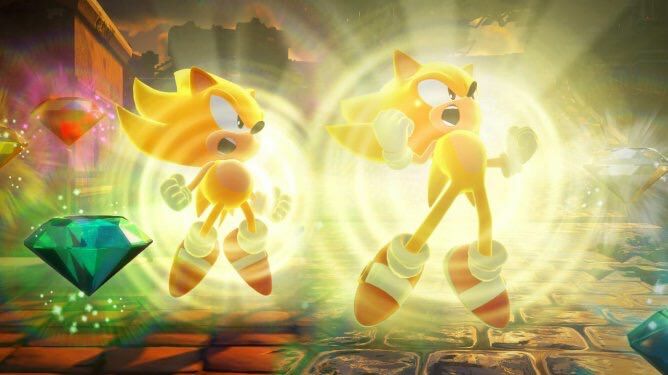 Sega: Sonic Forces "performed strongly"
In its latest financial report, SEGA provided an update on the sales of Sonic Forces. The company said that it “performed strongly”. As far as specifics go, SEGA didn’t have much else to say. An actual sales figure was not provided, nor were any comments on platform breakdowns. Hmmmm .... I wonder why?